We manufacture parts for our tufting machine as well as replacement parts for the most common tufting machine brands in our industry and sell them at a significant savings to our customers. We have redesigned many of those parts multiple times to ensure that they are even better than the original OEM version. Give us a shot at your next project and let us prove our value to you. 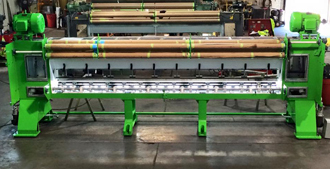 Whether you need tufting equipment installation or service work, you can turn to Hicks Tufting Machine Service, Inc. in Dalton, GA. We offer a range of proven and reliable tufting machine services that will ensure complete customer satisfaction. Along with our helpful services, we also manufacture world-class tufting machines that will boost the production and improve the efficiency of your textile business. 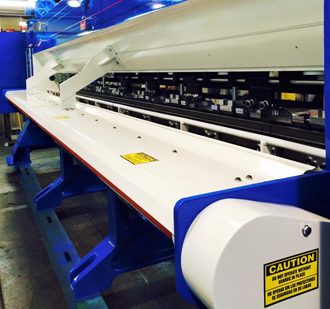 We want to help your textile manufacturing business achieve greater heights by providing tufting machinery and equipment suitable to the specific requirements of your business. Make us your partner in reaching your company’s goals. Contact us today at (706) 259-9595 for your tufting machine inquiries or to schedule an appointment. Hicks Tufting Machine Service, Inc. Copyright © Hicks Tufting Machine Service, Inc., 2014. All rights reserved.